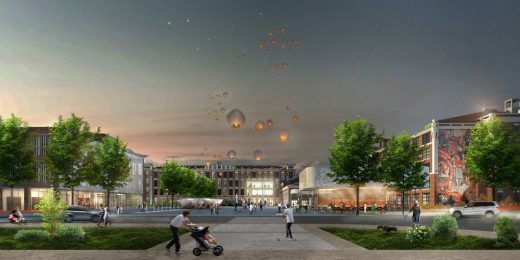 Mei architects and planners developed a grand innovative plan to transform the site of the former Silk Factory in Naro-Fominsk, a city two hours driving from Moscow, into a lively area. 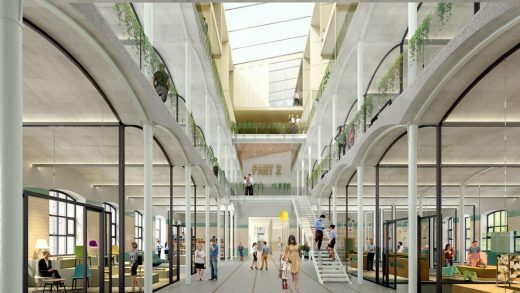 The program of 50.000 m2 is mixed-use, a novelty in Russia, and will turn the abandoned industrial site into a vibrant small city full of new energy. 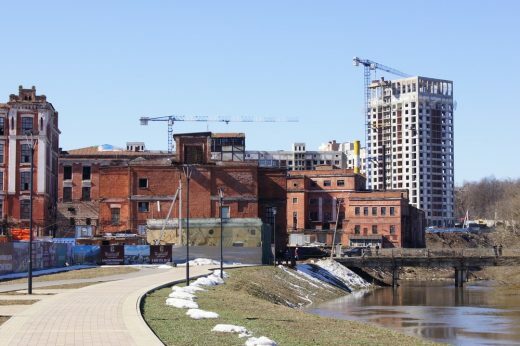 Loft-style apartments in the characteristic old factory buildings will be combined with a mixture of shopping, culinary, cultural and sport facilities for the families of Naro-Fominsk and visitors from the Moscow region. 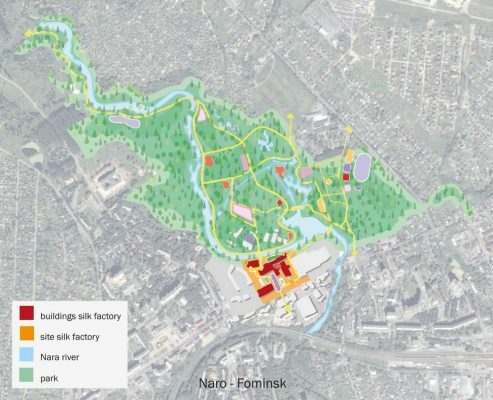 With this unique and promising plan, commissioned by the Ostov Group who already developed many successful projects in Naro-Fominsk, the Silk Factory complex will become the new historical city center of this pleasant town. 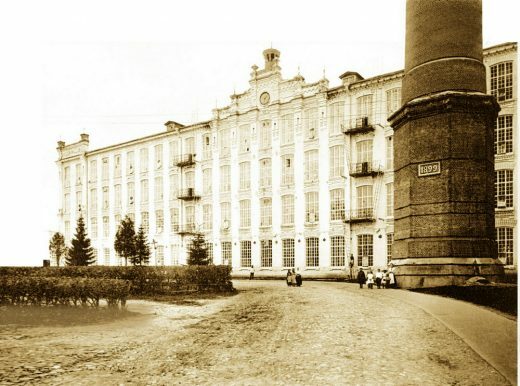 As almost every citizen of Naro-Fominsk has a history that is connected with the silk factory, the people are unanimously enthusiastic that this neglected site will soon be reanimated. The common memories will be kept alive and the memorable places will be saved. 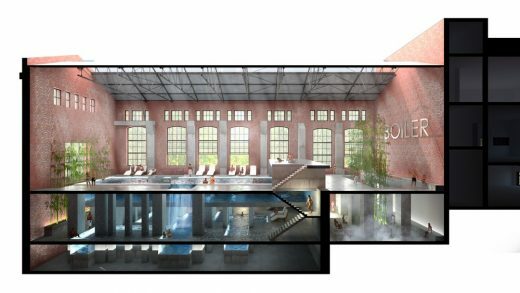 The existing buildings, such as the scutching building, the boiler house and the concrete building, are dilapidated but solid and all of them will be restored instead of replaced by new ones. 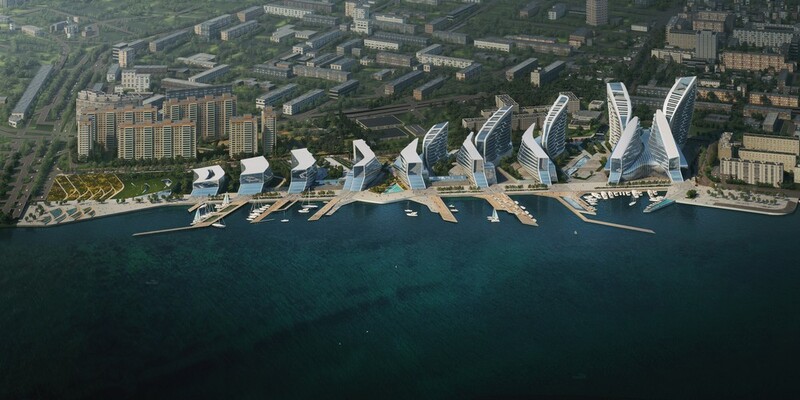 Mei’s transformation proposal is based on a series of strategic design interventions. 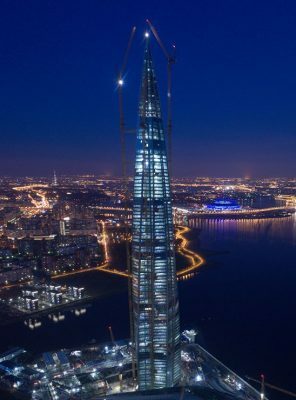 Several architectural breakthroughs will bring light into the buildings and connect the buildings with each other and the surroundings, both visually and physically. The site will be opened up and connected with the beautiful surrounding landscape park on the other side of the river Nara. Three new city squares will breathe a pleasant intimate atmosphere and create many opportunities to organize events. 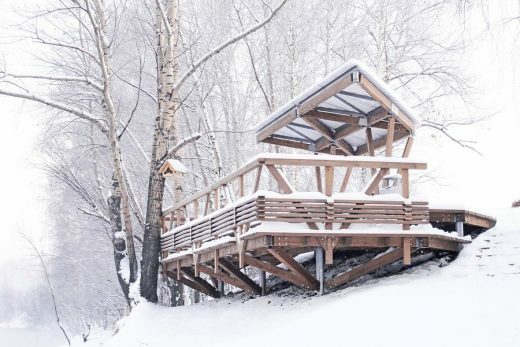 The architects have also taken the tough Russian winter climate into account and equipped a covered pedestrian street so that people can comfortably enjoy a walk, even in rainy and frosty weather. The whole area will be mainly car free. Mei designed the public space in cooperation with Felixx, Rotterdam-based international renowned landscape designers. The programming will be organized by Liuba Devyatkina and Igor Dobrovolsky. The approx. 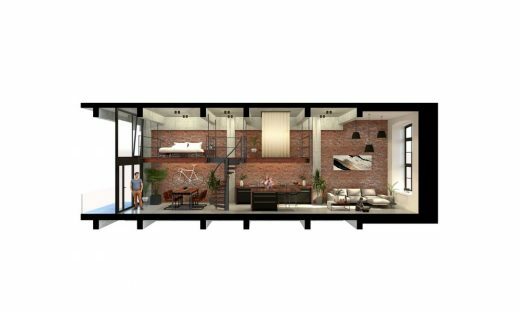 200 new apartments in the transformed factory buildings will all be Loft-style. 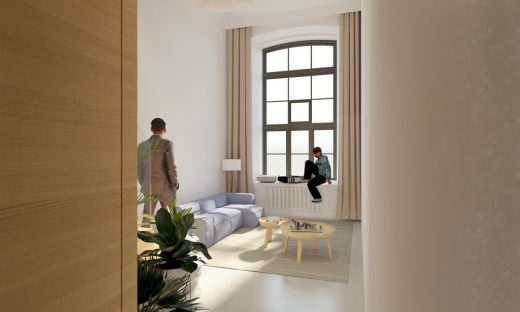 The huge existing windows – more than 4 meters high – create a unique spacious and light loft feeling and will provide the apartments with great views around. 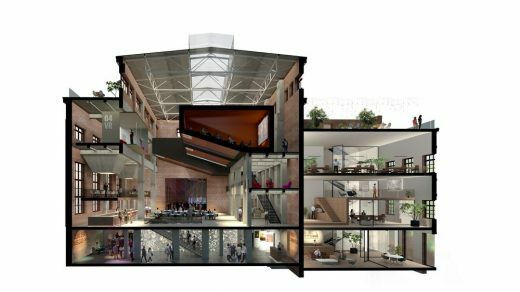 Mei architects and planners is expert in transforming monumental buildings into residential lofts, with famous examples as Jobsveem Warehouse in Rotterdam and the Gouda Cheese Warehouse. 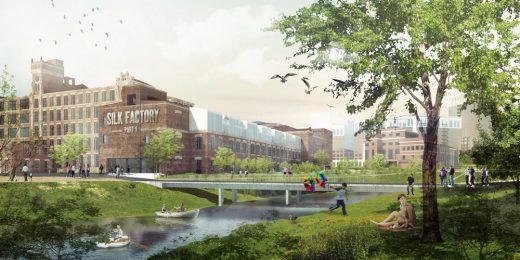 Ostov Group’s decision to work with Mei architects and planners from The Netherlands was based on their extensive experience in transforming industrial sites, as the redevelopment of the former electricity plant De Schiecentrale and Fenix I in Rotterdam, a spectacular transformation project that is under construction now, are perfect examples of. 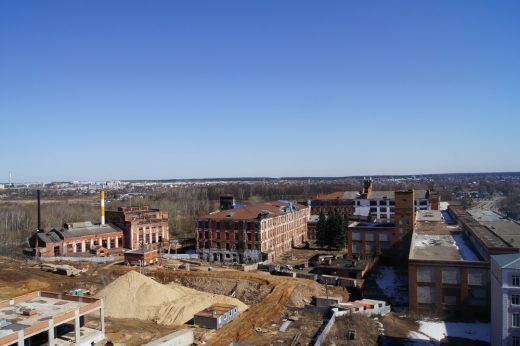 The redevelopment of the Naro-Fominsk factory site will be realized in phases. The first building that will be reanimated is the so-called Scutching building. 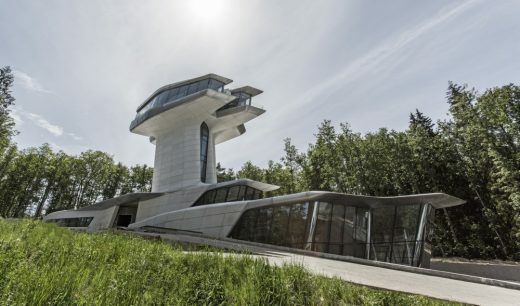 This impressive building is located along the riverside and therefor a perfect start to connect the site with the park. 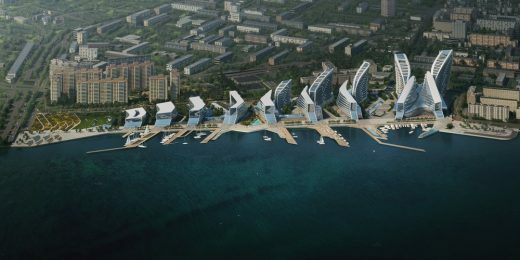 The Ostov Group intends to redevelop the site in an energetic way and expects the results to be visible in no more than 5 years.